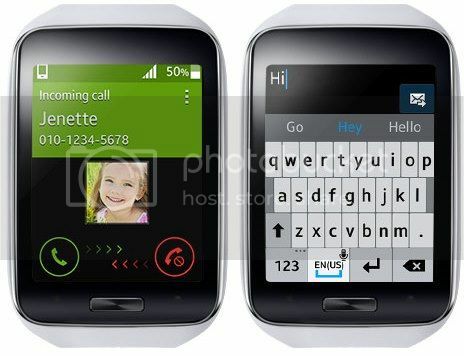 Samsung is arguably the most productive smartwatch maker recently with the release of Samsung Gear S. Though I won't dare to say that it is the best smartwatch out there, Samsung Gear S is certainly one of the best in its very own league and so far only Pebble seems to have the pedigree to lay its hands on the throne. 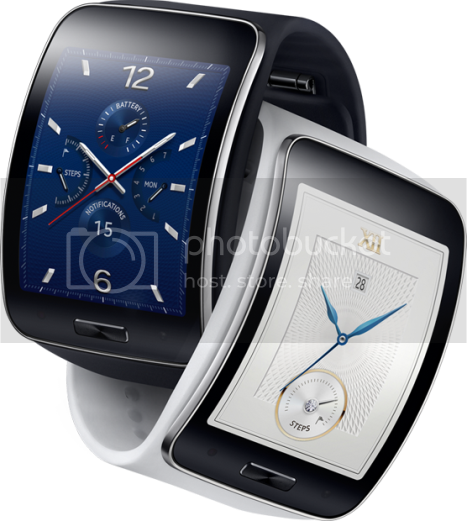 First thing first, Gear S is certainly the leader in the forefront since it can work without a smartphone. Yupe~this smartwatch can fly own its own-solo! You can select stunning, beautiful "faces" for your Gear S.
Well...you don't spend a few hundred bucks on a watch to replace your smartphone. 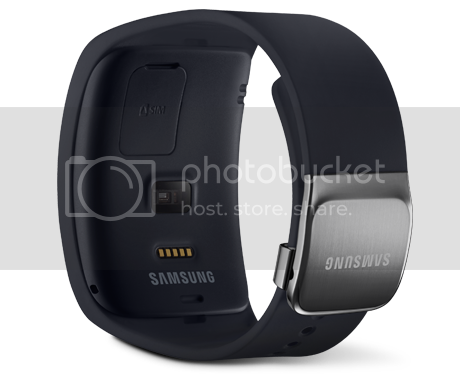 Of course most of the time you would be pairing your Gear S with your smartphone via Bluetooth right? Interestingly Gear S comes with a brilliant trick up its sleeve. It can be paired via Internet as well. That means if you are jogging like 10km away from your smartphone you can still receive and reply messages and make calls using your very own number (via the available wifi connection or data sim) so you do not need another new sim number. Another amazing feature of Gear S is that it is equipped with its very own GPS and it is preinstalled with Nokia Here App which gives you real-time, turn-by-turn directions. It can also vibrate to tell you when you have to make that turn. Best of all you can use it independently with the presence of your bigger smartphone. Not bad at all right? It does look like Samsung is toying with the idea of developing a full-fledged smartphone that will stick on your wrist huh! Your very own personal assistant. 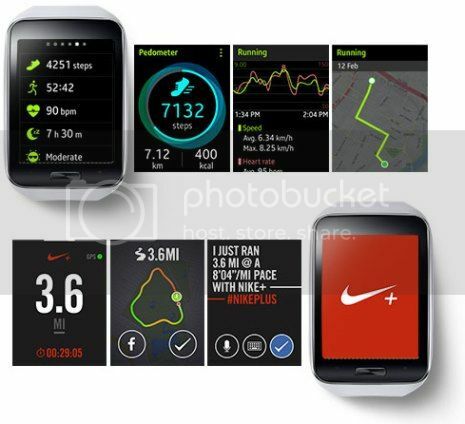 Samsung Gear S is also a very nifty personal fitness monitor. Taking advantage of its integrated GPS and the multiple sensors at its disposal, it can track your steps-pedometer, and it can even help you to log your individual workouts with its awesome S Health features. You can also use the heart monitor to see how healthy (or sick) you are. Ha :D Another interesting feature is the "inactive time" alert which nudges you when you have been sitting too long. Great for those who work in office and face their computer screen for long hours. The App library for Gear is only OK so far. Gear S is really one of the best smartwatches available right now. However it does have its own flaws...3 I would say. First, its app ecosystem is still in its infancy, meaning you won't able to fully maximize your Gear S; Secondly its battery life is way too short to be able to replace your watch. Imagine that you need to charge your smartwatch almost every single day...that is making it not that smart anymore right? Lastly, Samsung has made Gear S way too "exclusive" by only allowing it to work with Samsung Galaxy smartphone that is running Android 4.3 or higher. 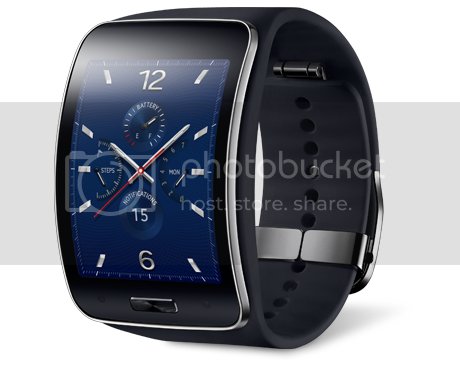 IMHO, despite its flaws, Gear S is really one fascinating smartwatch that I would want to have if I can afford. It is still a luxury. However the idea of glancing at your notifications on your wrist rather than pulling our your gigantic smartphone from your tight pocket or bags make Samsung Galaxy Gear S one really, really desirable smartwatch for me. :) So are you willing to invest RM1,000 in a watch?